Getting an accountant near east ham can be a daunting task, not because there is a shortage of accountants, but because they are just too many. They range from well-established high street accounting firms to online budget service providers. However, not all of them are qualified accounting professionals. You, therefore, must be very careful not to enlist the services of an incompetent accountant. If you are in search of a respectable, top accountants near east ham, you are in the right place. Besides having a reputation for being one of the leading companies offering exceptional services, we have a competent team of certified accounting professionals. 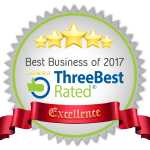 Our team provides excellent Tax Planning advice, income tax returns, Payroll, Small Business Accounting, Bookkeeping as well as online accounting services. When business owners need accounting services in London, their predictable behavior is to conduct an online search. Some of the favorite online search platforms the business owners use include; “Find An Accountant” and “Accountants Near Me.” Even though they are efficient ways of locating accountants, it is prudent if you research more about the tax specialist whose services you wish to enlist. The following are some of the factors you need to consider. Find out what current and previous clients of the tax specialist you wish to contract have to say about his or her Accountancy Practice. You can get hold of the reviews by conducting a simple online search, going through the accountant’s website or checking out their Google page. Furthermore, you could ask the accounting specialist to provide two or three reference names of previous or current clients. If the reviews are negative, that should serve as a red flag and a warning not to enlist that contractor’s services. Credible and reliable accountants will have active and impressive reviews. Just because an accountant claims to be a professional, it does not make them one. Find out if they have the qualifications and are members of a credible accountancy body in the UK. For instance how many of the staff are Certified (ACCA) or are members of a body AAT . If the “Professional” is not a member of any such body, high chances are they are not accounting professionals. Professional accountants should be well versed in a variety of accountancy services. They should offer their clients the flexibility and convenience of enjoying various accounting, bookkeeping and taxation services. Even though accountants do specialise in particular fields, it is wise if you approach a professional who is well versed in various accounting and tax practices. We have a team of seasoned accounting and taxation experts ready to assist you with your self-assessment. Whether you are a business owner or a rental property owner, with income report to file, we will identify the areas where expenses arise and come up with ways for you to not only comply with the taxation regulations but also enable you to file your personal tax returns accurately and promptly. Our accountants near east ham cater for Small business owners, they often have little or no time to focus on their business’ accounting needs. One major reason for this handicap is the firm has one or very few staff. Consequently, if the business owner decides to work on the books, critical business operations must come to a halt or at least suffer some slight interruption. Furthermore, not every small business owner possess accounting and bookkeeping skills. Acquiring such skills might require time and patience, a luxury that very few small business owners can afford. Through our Small Business Accounting services, we free you from the tasking role of daily bookkeeping, giving them more time to focus on growing and developing the business. We also discuss your small business’s financial plan, offer advice on levies and even help in the submission of HMRC Tax Return Online. Your business’ needs evolve from time to time. One such requirement involves having an efficient Payroll processing system. Processing the payment can be daunting, time-consuming and costly, no wonder many organisations prefer to outsource that service. We offer accurate, user-friendly, reliable and cost effective payroll services to firms of different sizes ranging from small, medium to large organisations. By enlisting our Payroll Service, your business’s efficiency will significantly increase, since your staff will have more time to concentrate on their yield. Whether you are a sole proprietary, partnership or a limited company, one of your goals should be to make tax savings. Not only should you identify legal ways of keeping the taxable amount on the lower side, but also identify avenues from which you can make claims and earn. Our team of taxation experts has both the competence and skill required to help you make significant tax savings. We will offer valuable input to your strategic tax planning methods. Our experience in serving different local, national and global clients guarantees you of receiving valuable tax planning advice. Whether you are a small, medium or large enterprise, our company has experienced specialists ready to offer relevant accounting and taxation related advisory services. We tackle issues like how to keep accounts orderly based on each accounting period, how to keep proper business records as well as assessing how well your business is doing. Furthermore, we offer advice on how to file quarterly or annual accounts. If you want to start a business, our team of experts can advise you on the best forms of business ownership open to you. For instance why you would be better off trading as a limited company instead of operating as a partnership. Enlisting our consultancy services will furthermore open your eyes to the various ways you can avoid taxation, reduce the amount you pay and even earn rebates. Why should you consider our accounting and taxation services? We handle all our clients using the best accounting industry practices. Whether it is the preparation, completing, filing of returns, or offering consultancy services, we do not compromise on quality. Additionally, our core value is the commitment to staying up-to-date with the ever dynamic accounting, HM revenue as well as customs tax laws. Since we keep up with these legislations, all our clients end up being tax compliant. When you work with us, we will offer self-assessment services to identify all the possible avenues for you to claim expenses legally, after which we will proceed to complete accurately and file your returns. Whether you are searching for advice on bookkeeping or you need to contract a Limited Company Accountant, we have a full package for you. We cover all accounting matters ranging from Accounting and Bookkeeping for small business, to Self-Employed Taxation returns, and corporate taxation issues. We literary have tailored accounting and tax services to suit client’s requirements. You will find the ability to satisfy all your accounting need using a single contractor a rewarding and satisfying experience. Besides, it has a few vital benefits. For instance, you will not have to share sensitive financial data with so many people. One of the essences of enlisting accountancy services is to help your business maximize profit. It is, therefore, absurd if the cost of contracting an accountant or taxation specialist outweighs the benefits your business receives. Working with us you will notice a vast improvement in your firm’s bottom line, without denting your pocket or breaking the bank. Even though the tax return fees vary depending on the type of business and the kind of service you require, our services are affordable and have a fair price. Furthermore, the cost of essential services like Bookkeeping are in all of our Accounting packages, which acts as a discount to the overall service cost. We have been in operation for an extensive period. Enlisting our services means dealing with a stable and credible business partner and not a service provider that is likely to fold or disappear a few weeks or months down the line. Not only are we London based, but we have a favorable standing with our clients who are sprawled all over East London, Manor Park, Wanstead, Barking, Plaistow, Stratford, East Ham, and Ilford. One of the secrets to having a stress-free tax return filing experience is to enlist the services of a competent accountant. However, if you have well-organised business records, it becomes easier for the specialist to help you. The accountant’s service fee is also likely to be lower. Moreover, if the files are proper, it eliminates the possibilities of your final returns submission having errors. Commission and omission errors on a form you submit can lead to fines or even prosecution. It, therefore, makes sense to have proper documents. The following are some useful tips on how you can maintain your books. · Separate your accounts according to their respective accounting periods, be it annually, semi-annually, quarterly or monthly. Doing so will help you prepare you and make it easy to read and comprehend, as well comply with the monthly, quarterly and annual deadlines. · Keep related documents together and separate ones separate. For instance put all bank statements together, but separate them from expenses, purchase and business. · Make sure you record the transactions as they occur. There should be a systematic flow of events in your files. Having up to date records is a crucial element in knowing your firm’s performance and financial position. For example, the data will prove useful in the creation of the final accounts like the Profit and Loss accounts. · Avoid waiting until the submission deadline becomes due to start gathering the necessary data. Instead, ensure your accounts are always ready and compliant with the legislations. For instance, Sole Traders and Limited Companies need to file returns annually. However, if you are a VAT Registered Firm, Sole Trader or a Limited Company, you need to file your VAT returns either annually or quarterly. Whatever period the law dictates, just make sure you are ready with the correct information. It will make the process efficient and rewarding. · Have well-organized documents to help you get your rebate claim? Ensure you have the correct p45s and p60s to facilitate correct calculations. Also, ensure that you accurately fill your Tax Rebate Form before submitting so as to avoid hiccups. An effective way to ensure all your documents are up to date is by organizing your pay slips, p45s, and p60s in a filing system. Moreover, arrange these documents according to the financial year, month and date. If you are employed or was previously employed, ask your previous employer for your p45 or p60. After all, they will prove quite handy in helping you win your claim. · In case you have been taxed unfairly, consult with our experienced taxation specialists to find out if you are legible for a refund and how to successfully submit a tax refund claim. Although a business owner can work out his or her firm’s taxes and expenses, it is always cost effective and prudent to enlist the services of a qualified accounting and taxation specialists. In the long run, the financial cost and the opportunity cost of handling the business accounts outweigh the benefits your firm will enjoy. Besides VAT, income and corporation tax legislations keep on changing, making it easy for your business to land in trouble. Contact our abled team today and let us handle your business accounting and taxation needs, while you focus on what you do best; growing your enterprise.